"Where am I?" Kit asked. "Where you are doesn't matter. It is what you are that is important." The lady gave her an icy smile. "You are soon-to-be bride. At noon, you will wed Adam de Guirande." I'm not even sure what other book or series I could compare this novel to, because it feels like this book is its own, unique brand of exciting, nail-biting historical fiction. I really don't think I've ever read anything quite like it! 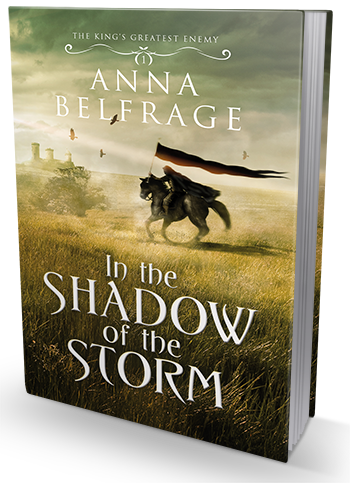 In The Shadow of the Storm is the first book in Anna Belfrage's second historical fiction series, The King's Greatest Enemy. The backdrop of this series is 14th century England and the growing conflict between Edward II (also known as Edward of Caernarfon) and his barons. The details of this conflict, the politics and the relationships between all the parties involved, are rather complicated and not easy to summarize quickly, but it all comes down to Edward's inability to be a proper leader (he is more interested in male company than leading the kingdom for sure), and the chaos that inevitable ensues. The main character we are following, Adam de Guirande, is a fictional character, but as Anna herself points out in one of her brilliant blog posts on the subject, "the historical events he lives through are anything but, a mere decade in which England was rocked by a power struggle of gigantic proportions between Edward II and his disgruntled barons." (Read the character introduction here, Anna does a fabulous job explaining some interesting details!). Plus, given the complicated and tense situation in the kingdom, there could've been dozens of people just like Adam living during the time period. The story revolves around conflicts and loyalties, politics, intrigue and deceit, and it's quite an explosive read. Anna does a fantastic job introducing first Kit, who is forced to pretend to be someone she's not and be wedded to Adam, and then Adam himself, whose tragic past and friendship with baron Mortimer (based on gratitude and loyalty), leads to all sorts of trouble. The character cast is plentiful and rich, the historical details - fascinating and illuminating, the tension is ever-present and the fast-paced plot line is sure to leave you breathless. I really loved everything about this book. It's a high-intensity read from page one, the author doesn't spend any time trying to set the historical backdrop and shove boring historical facts down the reader's throat - instead, she just lets the backdrop set on its own, and kind of naturally come to life as she's telling us about Adam, Kit, king Edward, baron Mortimer and other people. I loved that about this book! I could go on raving about In The Shadow of the Storm, but really, you just have to read it and see for yourself just how wonderful it is. Even if you're usually intimidated by historical fiction, even if you don't know anything about the time period, even if you think this book is outside of your comfort zone - give it a try, you'll be surprised how much you'll love it. I promise! “Will she do?” The voice came from somewhere over Kit’s head. With a series of grunts, the men carrying her deposited her in a cart. Kit made as if to protest. A large hand gripped her by the neck, tilted her head, and held something to her mouth. No. No more. She spat like a cornered cat, to no avail. Her mouth was forced open; sweet wine was poured, obliging her to swallow. And then there was nothing but a spinning darkness. Nothing at all. When next she came to, a wrinkled face was peering down at her. Kit shrank back. Her heart leapt erratically in her chest, her gaze flitting from one side to the other in this unfamiliar chamber, taking in tapestries and painted walls, streaks of sunlight from the open shutters. Where was she? All she had were vague recollections of days on a cart, being jolted this way and that. Days in which strong fingers pinched her nose closed until she was forced to open her mouth and swallow the unctuously sweet concoction that submerged her in darkness. daily. A pair of light blue eyes studied Kit dispassionately. The eyes sat in a narrow face, a nose like a knife blade separating the two halves. A wimple in pristine linen and a veil in what Kit supposed to be silk framed a face that would have looked better on a man than on a woman – harsh, aloof and with an expression which reminded her of old John back home when he’d cornered a rat. “M…m’ lady,” Kit stuttered. She tried to sit up but was pushed down again. “Agreement?” Kit pulled at her hands, noting with a burst of panic that she was tied to the bed – a simple thing, consisting of a rough wooden frame and a straw mattress. “Me?” Kit’s head hurt, a constant thudding behind her eyes. What had happened to her? There was a barking sound which Kit took for laughter. “You, little one, will be anything but wilful. If you are…” The lady made a swift motion across her throat with her hand. Kit cowered. What did they want with her, these two old crones? The older of the women patted her hand. “It will be none too bad.” From the homespun material of her clothes and the coarse linen of her veil, Kit concluded that she was not a lady but a servant. “Where am I?” Kit asked. Kit did not know what to say. She didn’t like the look in the lady’s eyes, and for some reason she suspected that should she refuse to comply, she would end up dead in the latrine pit – the lady had that sort of air to her. Kit wanted to protest. Her mother was Alaïs Coucy – dead since two months back. Grief tore at her, and she turned her face towards the wall, not wanting these strangers to see the tears welling in her eyes. “But…” Kit slumped back against the thin pillow. For most of her eighteen years, she’d heard her mother’s sad story: how two young lovers fled their irate parents, exchanged their vows before a priest and hoped for an eternity together – except that her father had died of a fever. She didn’t understand. Life as she knew it was caving in on top of her – all at the say-so of this unknown woman. “You lie,” she tried. “I most certainly do not,” Lady Cecily said. Kit closed her eyes to avoid that penetrating light blue gaze. 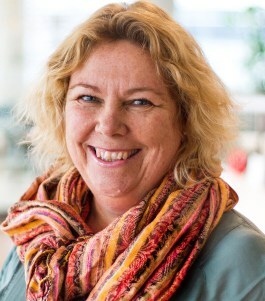 She suspected the lady was telling the truth: every question Kit had ever asked about her father had been met with an evasion, or the sad tale of star-crossed lovers as trotted out by her mother. When she’d taken her questions to John or to Mall, they had looked discomfited and referred to her mother. Kit wanted to say destitution. She wanted to snarl and spit in Lady Cecily’s face – accuse her of abduction, even – but she knew it would be futile. Women like Lady Cecily had power and wealth on their side. Kit had nothing. She swallowed a sob. “If you say no, I will evict every single one of the tenants as well,” Lady Cecily said, effectively nailing down the lid on what felt very much like a coffin. Kit was trapped. She knew it; Lady Cecily knew it. She acquiesced with a single nod.